Chemically-blackened steel circlips. External for use over shafts. Internal for use inside bores. Allows rotation but prevents lateral movement. 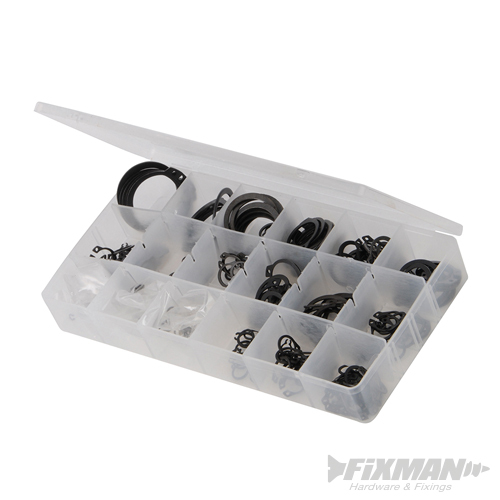 Includes assorted internal sizes 6 to 23mm and external sizes 7 to 29mm. Handy storage case with compartments.